1. Zhou ZY, Shi GQ, Fontaine R , Wei K, Feng T, Wang F, Wang GQ, Qu Y, Li ZH, Dong ZJ, Zhu HJ, Yang ZL, Zeng G. Liu JK*. Evidence for the natural toxins from the mushroom Trogia venenata as a cause of sudden unexpected death in Yunnan Province, China. Angew. Chem. Int. Ed., 2012, 51, 2368-2370. 2. Gao Y, Wang GQ, Wei K, Hai P, Wang F, Liu JK*. Isolation and biomimetic synthesis of (±)-guajadial B, a novel mer-oterpenoid from Psidium guajava. Org. Lett., 2012, 14, 5936-5939. 3. Yang XY, Feng T, Li ZH, Sheng Y, Yin X, Leng Y, Liu JK*. Conosilane A, an Unprecedented Sesquiterpene from the Cultures of Basidiomycete Conocybe siliginea, Org. Lett., 2012, 14, 5382-5384. 4. Ding JH, Feng T, Li ZH, Yang XY, Guo H, Wang GQ, Liu JK*. Trefolane A, a Sesquiterpenoid with a New Skeleton from Cultures of the Basidiomycete Tremella foliacea. Org. Lett., 2012, 14, 4976-4978. 5. Fang ST, Liu JK. Li B. Ten new withanolides from Physalis peruviana. Steroids, 2012, 77, 36-44. 6. Wang GQ, Wei K, Feng T, Li ZH, Zhang L, Wang QA, Liu JK*. Vibralactones G–J from cultures of the basidiomycete Boreostereum vibran. J. Asian. Nat. Prod. Res., 2012, 14, 115-120. 7. Guo H, Feng T, Li ZH, Liu JK*. Four new compounds from the basidiomycete Craterellus odoratus. J. Asian. Nat. Prod. Res., 2012, 14, 950-955. 8. Yang XY, Feng T, Yin X, Li ZH, Zhang L, Liu JK*. Seven New Sesquiterpenes from Cultures of the Basidiomycete Conocybe siliginea. Chin. J. Chem., 2012, 30, 1231-1235. 9. Yin X, Feng T, Liu JK*. Structures and cytotoxicities of three new sesquiterpenes from cultures of Armillaria sp.. Nat. Prod. Bioprospect., 2012, 2, 245-248. 10. Liu LY, Li ZH, Dong ZJ, Li XY, Su J, Li Y, Liu JK*. Two novel fomannosane-type sesquiterpenoids from the culture of the basidiomycete Agrocybe salicacola. Nat. Prod. Bioprospect., 2012, 2, 130-132. 11. Gao Y, Zhou DS, Kong LM, Hai P, Li Y, Wang F, Liu JK*. Rauvotetraphyllines A–E, new indole alkaloids from Rauvolfia tetraphylla. Nat. Prod. Bioprospect., 2012, 2, 65-69. 12. Ding JH, Feng T, Li ZH, Li L, Liu JK*. Twelve new compounds from the basidiomycete Boreostereum vibrans. Nat. Prod. Bioprospect., 2012, 2, 200-205. 13. Wang S, Zhang L, Liu LY, Dong ZJ, Li ZH, Liu JK*. Six novel steroids from culture of basidiomycete Polyporus ellisii. Nat. Prod. Bioprospect., 2012, 2, 240-244. 14. Guo H, Feng T, Li ZH, Liu JK*. Five new polyketides from the basidiomycete Craterellus odoratus. Nat. Prod. Bioprospect., 2012, 2, 170-173. 15. Wang F, Zhou DS, Wei GZ, Ren FC, Liu JK*. Chlorantholides A–F, eudesmane-type sesquiterpene lactones from Chloranthus elatior. Phytochemistry, 2012, 77, 312-317. 16. Qin XD, Liu JK. Chemical Constituents of Basidiomycetes Cortinarius longipes, Chemistry of Natural Compounds, 2012, 48, 912-913. 17. Shi GQ, He J, Shen T, Robert E. Fontaine R, Yang L, Zhou ZY, Gao H, Xu YF, Qin C, Yang ZL, Liu JK, Huang WL, Zeng G. Hypoglycemia and Death in Mice Following Experimental Exposure to an Extract of Trogia venenata Mushrooms. PLoS ONE, 2012, 7, 1-5. 18. Jiang MY, Feng T, Liu JK*. N-Containing compounds of macromycetes. Nat. Prod. Rep., 2011, 28, 783-808. 19. Luo XJ, Li LL, Deng QP, Yu XF, Yang LF, Luo FJ, Xiao LB, Chen XY, Ye M, Liu JK*, Cao Y*. Grifolin, a potent antitumour natural product upregulates death-associated protein kinase 1 DAPK1 via p53 in nasopharyngeal carcinoma cells. Eur. J. Cancer, 2011, 47, 316-325. 20. Jiang MY, Li Y, Wang F, Liu JK*. Isoprenylated cyclohexanoids from the basidiomycete Hexagonia speciosa. Phytochemistry, 2011, 72, 923-928. 21. Feng T, Su J, Ding ZH, Zheng YT, Li Y, Leng Y, Liu JK*. Chemical constituents and their bioactivities of "Tongling White Ginger" (Zingiber officinale). J. Agric. Food Chem., 2011, 59, 11690-11695. 22. Wang GQ, Wei K, Zhang L, Feng T, Wang F, Wang QA, Liu JK*. One-step biomimetic synthesis of (±)-linderaspirone A and (±)-bi-linderone. Tetrahedron Lett., 2011, 52, 2719-2721. 23. Wang G, Liu JK*. Two new phenols from Scutellaria barbata. Molecules, 2011, 16, 1402-1408. 24. Wang F, Li YJ, Ren FC, Wei GZ, Liu JK*. Pterisolic acids A—F, new ent-kaurane diterpenoids from the fern Pteris semipinnata. Chem. Pharm. Bull., 2011, 59, 484-487. 25. Wang G, He QW, Feng T, Liu JK*. Two new phenylpropanoids and one propanoate from Morinda citrifolia. J. Asian Nat. Prod. Res., 2011, 13, 238-241. 26. Wang G, Yu LL, Zhu YC, Liu JK*. Illudin T, a new sesquiterpenoid from basidiomycete Agrocybe salicacola. J. Asian Nat. Prod. Res., 2011, 13, 430-433. 27. Feng T, Li ZH, Dong ZJ, Su J, Li Y, Liu JK*. Non-isoprenoid botryane sesquiterpenoids from basidiomycete Boletus edulis and their cytotoxic activity. Nat. Prod. Bioprospect., 2011, 1, 29-32. 28. Fang ST, Feng T, Zhang L, Dong ZJ, Li ZH, Liu JK*. Cyathane diterpenoids from fruiting bodies of Phellodon niger. Nat. Prod. Bioprospect., 2011, 1, 37-40. 29. Yin X, Feng T, Li ZH, Su J, Li Y, Tan NH, Liu JK*. Chemical investigation on the cultures of the fungus Xylaria carpophila. Nat. Prod. Bioprospect., 2011, 1, 75-80. 30. Liu LY, Zhang L, Feng T, Li ZH, Dong ZJ, Liu JK*. Unusual illudin-type sesquiterpenoids from cultures of Agrocybe salicacola. Nat. Prod. Bioprospect., 2011, 1, 87-92. 31. Gao Y, Wang F, Zhou DS, Li Y, Liu JK*. Three new indole alkaloids from Rauvolfia yunnanensis. Nat. Prod. Bioprospect., 2011, 1, 104-107. 32. Yang WM, Qiang DJ, Zhang M, Ma LM, Zhang YH, Qing C, Xu YL, Zhen CL, Liu JK, Chen YH. Isoforskolin pretreatment attenuates lipopolysaccharide-induced acute lung injury in animal models. Int. Immunopharma., 2011, 11, 683-692. 33. Qin XD, Qu Y, Ning L, Liu JK, Fan SK. A new picrotoxane-type sesquiterpene from Dendrobium ？ndlayanum. J. Asian Nat. Prod. Res., 2011, 13, 1047-1050. 34. Luo XJ, Li W, Yang LF, Yu XF, Xiao LB, Tang M, Dong X, Deng QP, Bode AM, Liu JK*, Cao Y*. DAPK1 mediates the G1 phase arrest in human nasopharyngeal carcinoma cells induced by grifolin, a potential antitumor natural product. Eur. J. Pharmacology, 2011, 670, 427-434. 35. Lei T, Li Y, Li DM, Liu GM, Liu JK, Wang F. A novel phenolic compound from Pinus yunnanensis. J. Asian Nat. Prod. Res., 2011, 13, 425-429. 36. Zhao Y, Zhang HB, Liu JK, Su J, Li Y, Yao ZJ, Zhao QS. Fragmentations of 13-oxo-taxyunnansin A and their application to preparation of abeo-paclitaxel and abeo-docetaxel analogues. Tetrahedron Letters, 2011, 52, 139-142. 37. Zhou ZY, Tan JW, Liu JK*. Two new polyols and a new phenylpropanoid glycoside from the basidiomycete Lactarius deliciosus. Fitoterapia, 2011, 82, 1309-1312. 38. Zhou ZY, Liu JK*. Pigments of fungi (macromycetes). Nat. Prod. Rep, 2010, 27, 1531-1570. 39. Zhang L, Luo RH, Wang F, Jiang MY, Dong ZJ, Yang LM, Liu JK*. Highly functionalized daphnane diterpenoids from Trigonostemon thyrsoideum. Org. Lett., 2010, 12, 152-155. 40. Wang F, Gao Y, Zhang L, Liu JK*. Bi-linderone, a highly modi？ed methyl-linderone dimer from Lindera aggregata with activity toward improvement of insulin sensitivity in vitro. Org. Lett., 2010, 12, 2354-2357. 41. Wang F, Gao Y, Zhang L, Bai B, Hu YN, Dong ZJ, Zhai QW, Zhu HJ, Liu JK*. A pair of windmill-shaped enantiomers from Lindera aggregata with activity toward improvement of insulin sensitivity. Org. Lett., 2010, 12, 3196-3199. 42. Zhang L, Shen Y, Wang F, Leng Y, Liu JK*. Rare merosesquiterpenoids from basidiomycete Craterellus odoratus and their inhibition of 11β-hydroxysteroid dehydrogenases. Phytochemistry, 2010, 71, 100-103. 43. Zhang L, Luo RH, Wang F, Dong ZJ, Yang LM, Zheng YT, Liu JK*. Daphnane diterpenoids isolated from Trigonostemon thyrsoideum as HIV-1 antivirals. Phytochemistry, 2010, 71, 1879-1883. 44. Liu DZ, Dong ZJ, Wang F, Liu JK*. Two novel norsesquiterpene peroxides from basidiomycete Steccherinum ochraceum. Tetrahedron Lett., 2010, 51, 3152-3153. 45. Zhu YC, Wang G, Yang XL, Luo DQ, Zhu QC, Peng T, Liu JK*. Agrocybone, a novel bis-sesquiterpene with a spirodienone structure from basidiomycete Agrocybe salicacola. Tetrahedron Lett., 2010, 51, 3443-3445. 46. Yang WQ, Liu JK, Zhang HB. Total synthesis of pulverolide: revision of its structure. Tetrahedron Lett., 2010, 51, 4874-4876. 47. Jiang MY, Zhang L, Dong ZJ, Yang ZL, Leng Y, Liu JK*. Vibralactones D—F from cultures of the basidiomycete Boreostereum vibrans. Chem. Pharm. Bull., 2010, 58, 113-116. 48. Fang ST, Zhang L, Li ZH, Li B, Liu JK*. Cyathane diterpenoids and nitrogenous terphenyl derivative from the fruiting bodies of basidiomycete Phellodon niger. Chem. Pharm. Bull., 2010, 58, 1176-1179. 49. Wang F, Ren FC, Li YJ, Liu JK*. Scutebarbatines W—Z, new neo-clerodane diterpenoids from Scutellaria barbata and structure revision of a series of 13-spiro neo-clerodanes. Chem. Pharm. Bull., 2010, 58, 1267-1270. 50. Wang YM, Xiao H, Liu JK, Wang F. New iridoid glycosides from the twigs and leaves of Callicarpa formosana var. formosana. J. Asian Nat. Prod. Res., 2010, 12, 220-226. 51. Zhu YC, Wang G, Liu JK*. Two new sesquiterpenoids from basidiomycete Agrocybe salicacola. J. Asian Nat. Prod. Res., 2010, 12, 464-469. 52. Fang ST, Liu JK, Li B. A novel 1,10-seco withanolide from Physalis peruviana. J. Asian Nat. Prod. Res., 2010, 12, 618-622. 53. Niu Y, Zhang L, Zhou ZY, Zhu YC, Liu JK*. A new compound from Hypericum reptans. J. Asian Nat. Prod. Res., 2010, 12, 719-722. 54. Wang G, Yin W, Zhou ZY, Hsieh KL, Liu JK*. New iridoids from the fruits of Crescentia cujete. J. Asian Nat. Prod. Res., 2010, 12, 770-775. 55. Liu R, Zhou ZY, Jiang MY, Wang F, Liu JK*. A new isoprenyl phenyl ether riboside from the culture of basidiomycete Laccaria amethystea. J. Asian Nat. Prod. Res., 2010, 12, 723-726. 56. Liu R, Zhou ZY, Liu JK*. Three new keto esters from cultures of the basidiomycete Craterellus cornucopioides. Chin. J. Nat. Med., 2010, 8, 88-90. 57. Tang JG, Liu H, Zhou ZY, Liu JK. Facile and Efficient One-Pot Synthesis of β-Carbolines. Syn. Comm., 2010, 40, 1411-1417. 58. Zhang L, Shen Y, Zhu HJ, Wang F, Leng Y, Liu JK*. Pentanol derivatives from basidiomycete Catathelasma imperiale and their 11 beta-hydroxysteroid dehydrogenases inhibitory activity. J. Antibiot (Tokyo), 2009, 62, 239-242. 59. Wang F, Cheng XL, Li YJ, Shi S, Liu JK*. Ent-pimarane diterpenoids from Siegesbeckia orientalis and structure revision of a related compound. J. Nat. Prod., 2009, 72, 2005-2008. 60. Wang F, Xu Y, Liu JK*. New geranyloxycoumarins from Toddalia asiatica. J. Asian. Nat. Prod. Res., 2009, 11, 752-756. 61. Wang F, Ren FC, Liu JK*. Alstonic acids A and B, unusual 2,3-secofernane triterpenoids from Alstonia scholaris. Phytochemistry, 2009, 70, 650-654. 62. Wang G, Liu JS, Lin BB, Wang GK, Liu JK*. Two new furanoid norditerpenes from Dioscorea bulbifera. Chem. Pharm. Bull., 2009, 57, 625-627. 63. Xu D, Sheng Y, Zhou ZY, Liu R, Leng Y, Liu JK*. Sesquiterpenes from cultures of the basidiomycete Clitocybe conglobata and their 11β -hydroxysteroid dehydrogenase inhibitory activity. Chem. Pharm. Bull., 2009, 57, 433-435. 64. Yang XL, Xie ZH, Jiang XJ, Huang YB, Liu JK*. A new acridone alkaloid from Micromelum integerrimum. Chem. Pharm. Bull., 2009, 57, 734-735. 65. Wang F, Li XM, Liu JK*. New terpenoids from Isodon sculponeata. Chem. Pharm. Bull., 2009, 57, 525-527. 67. Liu R, Zhou ZY, Xu D, Wang F, Liu JK*. A new tricycle [6.3.1.0 2,5]dodecane sesquiterpene from cultures of the basidiomycete Campanella junghuhnii. Helv. Chim. Acta., 2009, 92, 375-378. 68. Fang ST, Li B, Liu JK*. Two new withanolides from Physalis peruviana. Helv. Chim. Acta, 2009, 92, 1304-1308. 71. Luo DQ, Zhao LY, Shi YL, Tang HL, Li YY, Yang LM, Zheng YT, Zhu HJ, Liu JK. Velleratretraol, an unusual highly functionalized lactarane sesquiterpene from Lactaeius vellereus. J. Antibiot., 2009, 62, 129-132. 72. Liu R, Liu JK*. A new neodolastane diterpene from cultures of the basidiomycete Trametes corrugate. Hetrocycles, 2009, 78, 2565-2570. 73. Jiang MY, Zhang L, Dong ZJ, Liu JK*. Two new metabolites from basidiomycete Sparassis crispa. Z. Naturforsch, 2009, 64b, 1087-1089. 74. Huang HQ, Pan XL, Ji CJ, Zeng GZ, Jiang LH, Fu X, Liu JK, Hao XJ, Zhang YJ, Tan NH. Screening and docking studies of natural phenolic inhibitors of carbonic anhydraseⅡ. Sci China Ser B-Chem., 2009, 52, 332-337. 75. Wang F, Yang K, Ren FC, Liu JK*. Sesquiterpene lactones from Carpesium abrotanoides. Fitoterapia, 2009, 80, 21-24. 77. Zhou ZY, Wang F, Tang JG, Fang LZ, Dong ZJ, Liu JK*. Gallicynoic acids A-I, acetylenic acids from the basidiomycete Coriolopsis gallica. J. Nat. Prod., 2008, 71, 223-226. 78. Zhou ZY, Tang JG, Wang F, Dong ZJ, Liu JK*. Sesquiterpenes and aliphatic diketones from cultures of the basidiomycete Conocybe siliginea. J. Nat. Prod., 2008, 71, 1423-1426. 79. Yu QL, Shu XL, Wang L, Sun AN, Liu JK, Cao XT. Albaconol, a plant-derived small molecule, inhibits macrophage function by suppressing NF-kB activation and enhancing SOCS1 expression. Cellular & Molecular Immunology, 2008, 4, 271-278. 80. Yu QL, Shu XL, Sun AN, Sun QL, Zhang CX, An HZ, Liu JK, Cao XT. Plant-derived small molecule albaconol suppresses LPS-triggered proinflammatory cytokine production and antigen presentation of dendritic cells by impairing NF-kB activation. Int. Immunopharma., 2008, 8, 1103–1111. 81. Tang JG, Wang YH, Wang RR, Dong ZJ, Yang LM, Zheng YT, Liu JK*. Synthesis of analogues of Flazin, in particular, Flazinamide, as promising anti-HIV agents. Chem. Biodiver., 2008, 5, 447-460. 82. Yang XL, Qin C, Wang F, Dong ZJ, Liu JK*. A new meroterpenoid pigment from the basidiomycete Albatrellus confluens. Chem. Biodiver., 2008, 5, 484-489. 83. Wang F, Xie ZH, Gao Y, Xu Y, Cheng XL, Liu JK*. Sulfonated guaianolides from Saussurea lappa. Chem. Pharm. Bull., 2008, 56, 864-865. 84. Wang F, Liu JK*. Highly oxygenated lanostane triterpenoids from the fungus Ganoderma applanatum. Chem. Pharm. Bull., 2008, 56, 1035-1037. 85. Jiang MY, Wang F, Yang XL, Fang LZ, Dong ZJ, Zhu HJ, Liu JK*. Derivatives of vibralactone from cultures of the basidiomycete Boreostereum vibrans. Chem. Pharm. Bull., 2008, 56, 1286-1288. 86. Shao HJ, Qin XD, Dong ZJ, Zhang HB, Liu JK*. Induced daldinins A, B, C with a new skeleton from cultures of the ascomycete Daldinia concentrica. J. Antibiot., 2008, 61, 115-119. 87. Qin XD, Shao HJ, Dong ZJ, Liu JK*. Six new induced sesquiterpenes from the cultures of ascomycete Daldinia concentrica. J. Antibiot., 2008, 61, 556-562. 88. Liu DZ, Jia RR, Wang F, Liu JK. A new spiroaxane sesquiterpene from cultures of the basidiomycete Pholiota adiposa. Z. Naturforsch., 2008, 63b, 111-113. 89. Liu DZ, Wang F, Jia RR, Liu JK*. A novel sesquiterpene from the basidiomycete Boletus calopus. Z. Naturforsch., 2008, 63b, 114-116. 90. Jiang MY, Yang XL, Fang LZ, Zhang L, Dong ZJ, Liu JK*. Purpuracolide: a new alliacane sesquiterpene from basidiomycete Gomphus purpuraceus. Z. Naturforsch., 2008, 63b, 1012-1014. 91. Yang XL, Hsieh KL, Liu JK*. Diguajadial: a dimer of the meroterpenoid from the leaves of Psidium guajava (Guava), Chi. J. Nat. Med., 2008, 0333-0335. Higher fungi, among the many diverse organisms, are a major source of biologically active natural products. They have often been found to contain biologically active compounds, and they provide a rich variety of active secondary metabolites. There are potentially many compounds still to be discovered in higher fungi since until now only a relatively small number of higher fungi have been chemically investigated, and many of the remaining species are involved in interesting biological phenomena. These as yet unstudied species hold the promise of providing new natural products. That these fungi are often involved in interesting biological processes indicates not only that the new metabolites involved will be chemically interesting but also that the new metabolites may be biologically interesting and significant. The large biodiversity of higher fungi provides a huge resource for extending the chemodiversity of natural products and for finding new lead structures for medicinal chemistry. We have been interested in the biologically active substances present in untapped and diverse source of higher fungi from China. 2. 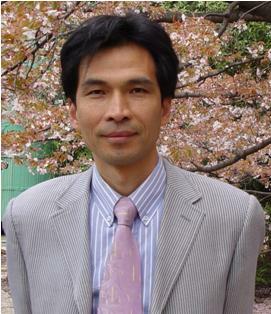 Invited Speaker: International Chemical Congress of Pacific Basin Societies (PACIFICHEM 2010), Honolulu, Hawaii, December 15-20, 2010, USA. 5. Invited Speaker: Sino-German Symposium on Natural Products and Modern TCM Research, March 16-19, 2009, Kunming, China.